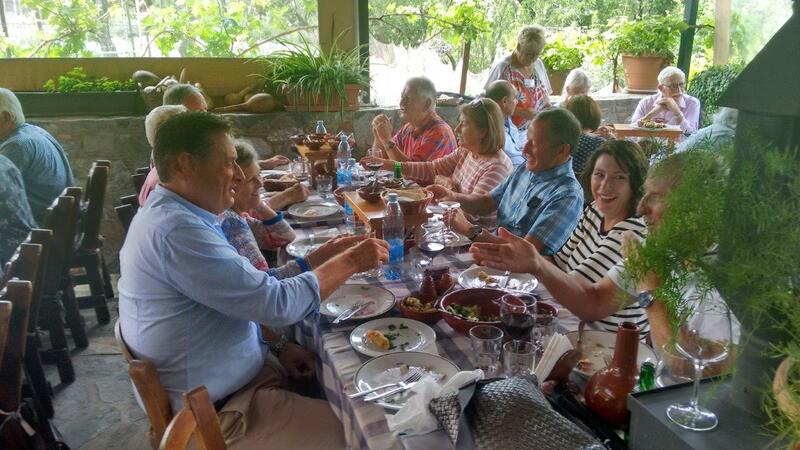 Forty members, honorary members and guests assembled at the Symposio Taverna, Pelendri, for a return visit to enjoy, once again, the genial hospitality of Nikos and his hard-working team. 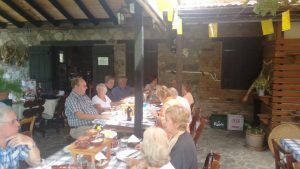 Unfortunately, a parallel lunch-time booking for a party of 25 tourists turned out to be 78 persons, making for a somewhat confused situation upon our arrival. Nevertheless, Niko’s team had the food flowing to the assembled ACA throng a mere 20 minutes behind schedule and the visiting tourists were soon back on their coaches,leaving us to enjoy having the place to ourselves. 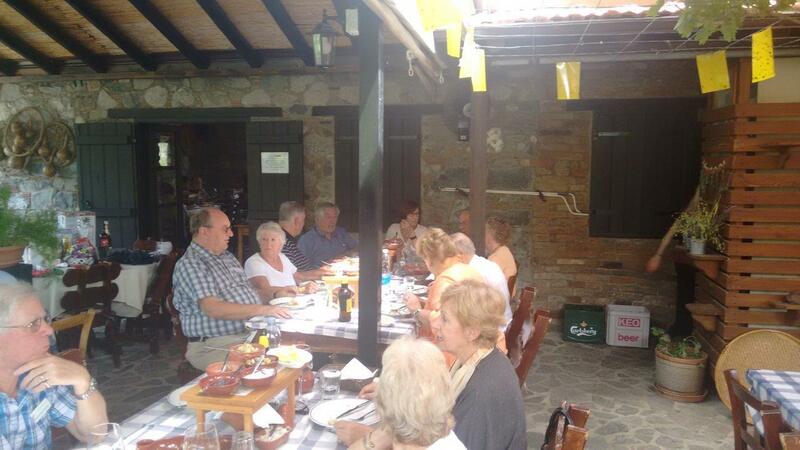 A traditional Symposio meze was thoroughly appreciated by all. 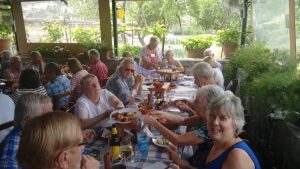 John Lay welcomed our guests Peter Youngs, John Eldred, Dorothy Allison, Derek and Marion Jordan, Phil and Sylvia Mutton,Wing Commander David Boreham, OC Operations Wing, RAF Akrotiri, and his wife Gill. Once the parish notices had been delivered John handed over to Bev Humphrey for the prize draw which raised over €160. Thanks to all those who generously donated prizes and/or bought raffle tickets. The next lunch will be at the Cookery School, Paramytha, on Thursday 8 June 2017 and we will have Air Marshal Sir Christopher Coville KB as our guest speaker.